Taverna Opa Delray, offers partial and full buyouts. Our Mykonos private dining room seats 50 guests and holds up to 70 for a cocktail reception. The room opens up to our outdoor courtyard for an indoor/outdoor feel where tables or high tops can be set up. The marriage of great Greek food & celebration is what Taverna Opa promotes. Belly dancing is a MUST! Sautéed with roasted tomatoes, feta cheese, garlic & splash of white wine. Layers of macaroni & seasoned ground beef, topped with homemade creamy bachamel sauce. Amazing meal- authentic Greek food. Loved the atmosphere and waiter was super attentive . Absolutely loved!!!!! Great location for people watching with outstanding food and great atmosphere. Always a great restaurant for whole fish lovers. We sat outside. Great night. We each had a great meal. Very authentic Greek food. Poor service while sitting at the bar. Food lousy. Parking on a Saturday evening on Atlantic Avenue is not easy. We were grateful for the valet service. We arrived just prior to our reservation time. We were greeted and seated promptly. The bar area was very busy, the restaurant area was almost empty but filled up quite soon after we were seated. Our server, Nicole, was very efficient, pleasant and friendly. Drinks and food arrived in an acceptable amount of time. My two dining companions both had Lamb Shank which they thoroughly enjoyed. I had whole red snapper which seemed to be over cooked and dry. We finished our meal with different desserts. All very good. Noise level was loud with a lot of people having a good time. Well worth another visit. We r Greek and it is hard to find authentic Greek food. We went back for a second visit during our stay. We have been there many times and find the food very authentic, different and great for sharing. Our only complaint on a Friday night was that the music was SO LOUD that you could barely hear the persons across the table. Service was terrible. One of our party ordered his lamb chops medium rare. They were served well done. Our waiter no where about to talk so talked to other server and asked for new order cooked properly. Never came! No apology or compensation when complained to manager. Very poor customer service. Overall the rest of our party rated their food as fair. Too many other restaurants on Atlantic with great food and service. We will not return to Opa. Hostess forgot we were there after stating a table was being set up for us. When we finally got seated, the waiter comes over and hands out the menus. And as he’s handing out the menus he asked us if we know what we want to order. Located in downtown Delray, Taverna Opa offers a great selection of traditional Greek food. The appetizers were delicious and the food arrived on time. It was a great experience and we’ll have to return soon! 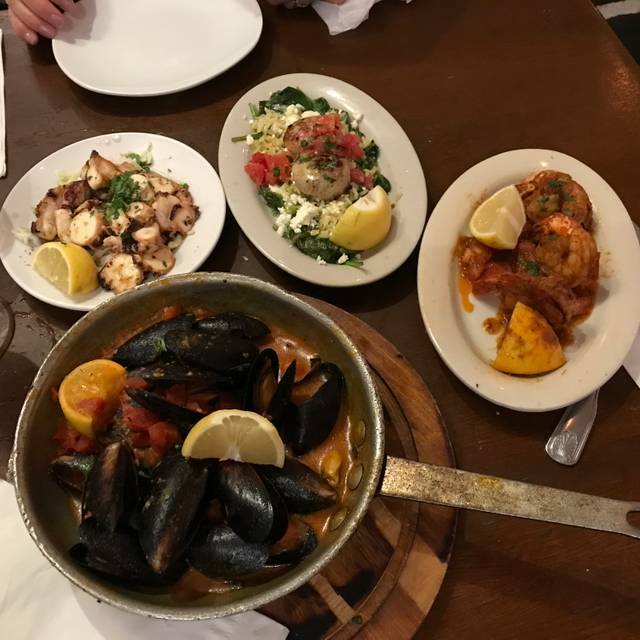 I have been to other Taverna Opa locations and been very pleased with the food. This food at the Delray Beach location was awful. The calamari was leathery, the fries were stale, they were out of lamb and rice, yes rice. I would not go back. The restaurant was half empty on a lively spring break night, while other restaurants were on a wait, that should have been our first clue. Hope they get it together like other locations but for now its a no go. This was a favourite dining spot but regrettably, yesterday's visit left little to be desired. First off, I am a member of their VIP rewards program which entitles members to a complimentary bottle of wine, if 4 people dine in. For some reason, this restaurant no longer honors the rewards program - despite the fact the program is advertised online, for all locations. I was never notified of this new policy, nor did the Manager or Owner choose to make an exception for our party yesterday. Next, in past visits, one could order from either the main dining menu or the happy hour menu, regardless of being seated at the bar or elsewhere in the restaurant. Yesterday, we were told we can only order happy hour menu items, at the bar. After checking with the Manager if an exception could be made, given the complimentary wine was no longer honored, he agreed. However, shortly after, the server formally advised us that the Owner told her to stress the fact with our table, that this was a one time exception and would not be made again. For dinner, we all ordered the souvlaki platter, which comes with fries. We asked if it was possible to substitute the fries with their lemon potatoes, which we have been allowed to do in the past, no problem. The server said it would be an up charge of $6.00 PER PERSON, for the lemon potatoes. We asked to speak with the Owner, as it was ludicrous that one can get french fried potatoes with their meal, but to have the same potato with some lemon juice on it, costs extra. A potato is a potato. The Owner relented and agreed to the substitution. Unfortunately, the lemon potatoes were all pretty much burned and did not taste as good as in the past. The salad was a bit wilted and one of the glasses I was given from the Bar, looked like it had been used by someone else. Overall, an extremely disappointing visit and a last visit to Opa Delray, for us. We were in no rush, but had to inquire about our drinks. When, after 45minutes our food hadn’t arrived, we were told that because there were two orders of bronzino, it would take an extra 10 minutes to cook because it was Saturday. The waitress walked away when I asked how it can take 10 minutes longer on Saturday. Instead, she sent the manager who was apologizing until she too used the Saturday 10 minutes, and when I asked how it was possible, she replied well do you want your food or not. Lastly, my medium well lamb chops were rare. We arrived on a Saturday night with a reservation for 4. Our friends cancelled last minute, but we were still seated at our table for four. It was loud, and happy, we could hardly hear the music, but it didn’t detract from our enjoyment. The Belly dancer was a lovely young woman, who was attentive to adults, and little ones alike. She danced with a young girl at her sisters request and everyone enjoyed it! I had read reviews complaining about the service, but all staff we interacted with seemed upbeat and working hard. Was ok. The saganaki ( flaming cheese) was presented with little fanfare..a big loud OPA! Would have made it more fun, but the place was crowded so maybe they were being cautious with the open flames etc. All in all a very pleasant night. We made our reservation on open table. Arrived a few minutes before our reservation time. Was seated promptly right next to hostess' station in outdoor portion of restaurant. After receiving drinks and bread within a few minutes we were left sitting and waiting for close to fifty minutes for our order to appear. The hostess and waitress saw us sitting there and we even asked where our food was. Waitress said "it's coming out." A few minutes later, still no food. Finally, got up, tracked down the waitress near kitchen and told her to give me check for drinks that we were leaving - she should keep the food. Asked to speak to owner - manager hostess then said food was ready. We sat back down and food came out and manager/hostess said that there would be no charge for our meal. We ate - my wife and I couldn't really enjoy our meal due to the aggravation. Even for free planned nice evening was ruined by poor service and poor experience. Will never dine at Taverna Opa again. I have eaten here many times before, but I was disappointed in tonight’s meal. First of all, I am a member of their rewards program which entitles the member to a complimentary glass of wine with a meal purchase. However, this restaurant apparently no longer honors this rewards program. I was never notified of this new policy, despite receiving constant emails from them. Second, I ordered Ginger ale but was told they were our of it. This restaurant has a large bar that serves alcoholic drinks, so I can’t imagine how they could be out of ginger ale. I then ordered iced tea. The waitress asked me twice during my meal if I would like her to refill the iced tea. When I received the bill, to my surprise, I was charged for these refills. Who charges for refills of iced tea? New server was not trained. Did not know how to open or serve wine. Food was very slow coming out and the restaurant was not full. Will not return. Service was horrendous because they didn't have enough staff. there were no busboys to clear the table or refill your water glass. hostess had to clear tables so she could seat people trying to be seated and were waiting on the street. not enough wait staff, so waitress was unable to service us properly. had to chase her to place order and also find out were our food was. one dish never arrived so we canceled it. Great Greek food. Enjoyed our time here. We went on a Wednesday evening which is a more subdued night to go vs. a Thursday or Friday which has dancing. We'd definitely go back. Pita bread outstanding. 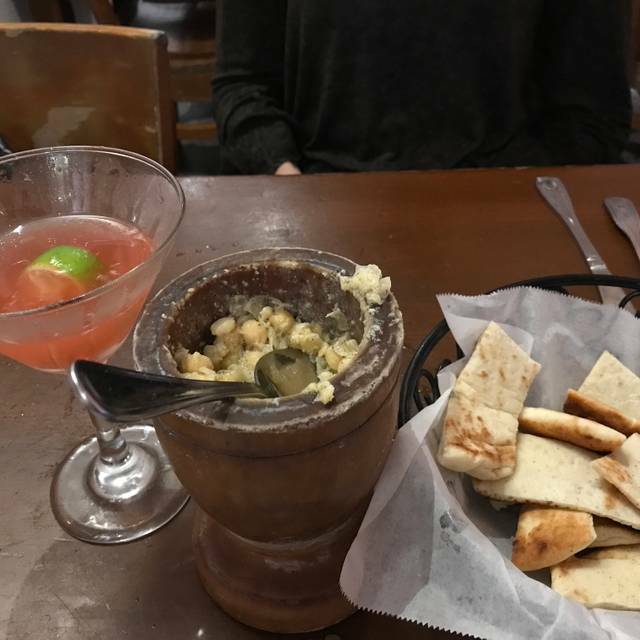 I wasn't too keen on the hummus. It was a little too pasty for me. I like mine creamier blended with evoo and garlic. Not my first visit to OPA but compared to previous visits this left a bit to be desired. Unfortunately it was raining and I called to be sure that there was valet parking. When I drove up I was told that "there was no more room"! I was forced to park on a side street and walk back to the restaurant. Upon ordering dinner...Moussaka..I found the portion significantly smaller than on previous visits. A little disappointing. The OPA Chips at the bar were a excellent surprise. We have been here many times and enjoyed the food and service. This time was a total failure and embarrassment to my out of town guests. We had to wait 45 min for 8pm reservations due to hostess forgetting us. We were seated and ordered whole bronzino, meantime we were served our appetizers. One hour later our waiter informed us that they were out of bronzino. We then ordered snapper and waited another 45 min for overcooked dried out fish. We may try this restaurant again. Excellent food. Very nice waitress. A bit loud but it’s the height of season also Presidents Week, so its understandable. My wife and I read some of the reviews about the poor service but decided to reserve a table anyway since we had a great meal here last year. Unfortunately, it was a mistake. It started with the lipstick on my wife's water glass, which is an immediate turnoff to start any meal. The waiter was apologetic but then took 30 minutes to replace the water glass. We then had to wait about an hour for our main meal, even when other tables were being served even though they were seated after us. To add insult to injury, my wife's meal was not prepared as requested. Overall, it was very disappointing as the food was good, the saganaki flaming cheese excellent, and the belly dancer an interesting part of the entertainment. Our table was partly on the sidewalk which made it somewhat awkward with the throngs of people walking by on a Saturday night. The food was good as always but the service a little slow. A fun place in Delray Beach on Atlantic Avenue! Too busy this time of year. Waiting for entrees waiting longer than usual. My chair kept getting bumped by people goimg inside the restaurant. This is the second time that I have been to Taverna Opa and I would never go back. The menu has a family style dinner which my husband and I wanted to order. When we went to order, the waitress said that it was for four people only. I asked where it said that on the menu and it was not stated. I then asked to speak to the owner but the owner was nowhere to be found. Instead a manager came out to speak with us. He made matters worse by telling us that we were not a family. I asked him who appointed him to define what made up a family. Clearly the IRS considers my husband and I a family. He said regardless of how we define family if we ordered it he would charge us for four portions. I again asked him where it stated that there was a four portion minimum for the special and he said I guess it doesn’t state it on our new menu. Regardless my computer won’t allow me to do less than four for the special. He was not accommodating or nice at all. I would never go to this establishment again. Talk about bait and switch. If I could give zero stars I would. Horrible horrible experience. Stay away from this bait and switch place. Great Greek food! We are regulars when in the area. We asked for a table outdoors. The chairs left a lot to be desired, some had no seat and the others the legs were wobbly. Two ordered Souvlakis, one was not cooked enough. I had mentioned it was a birthday but no special attention was offered. Our server was very attentive, that made up for the rest. Food was simply wonderful. Great waiter but they do need additional help! Took awhile to get service. Belly dancer was great! Thoroughly enjoyed. Belly dancing and loud music so do not plan on talking at dinner!